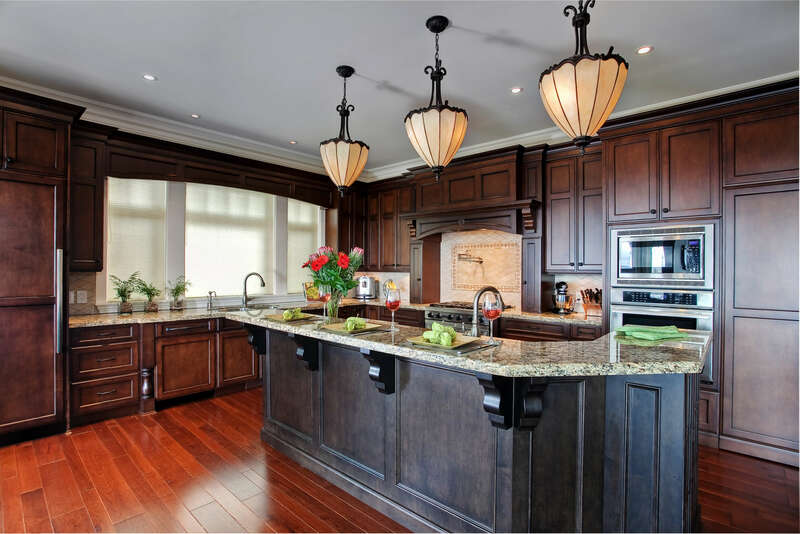 This dark wood kitchen was made for a couple who loves to cook. 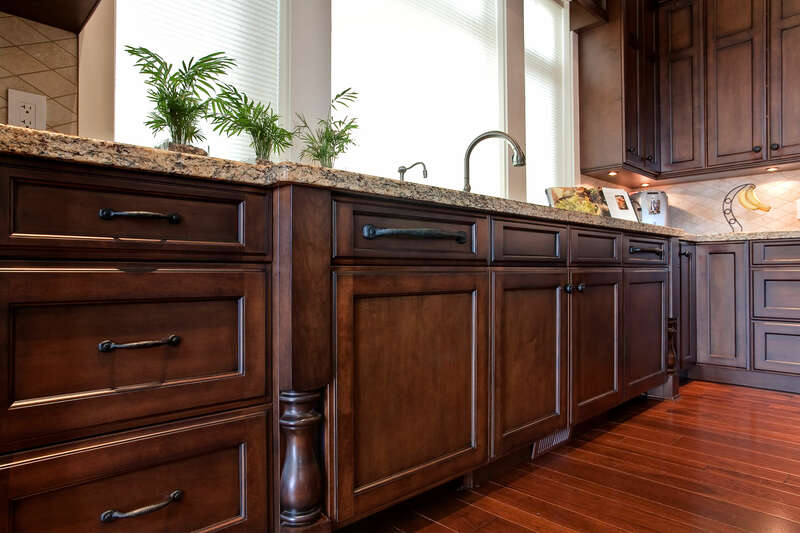 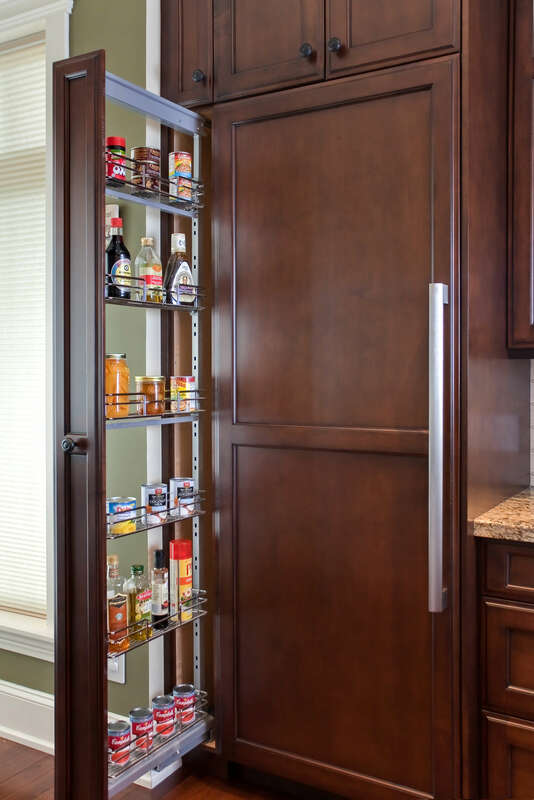 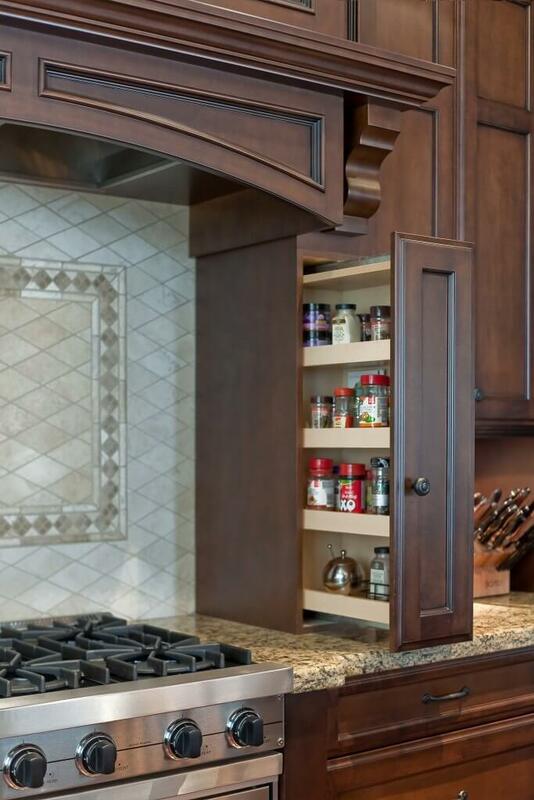 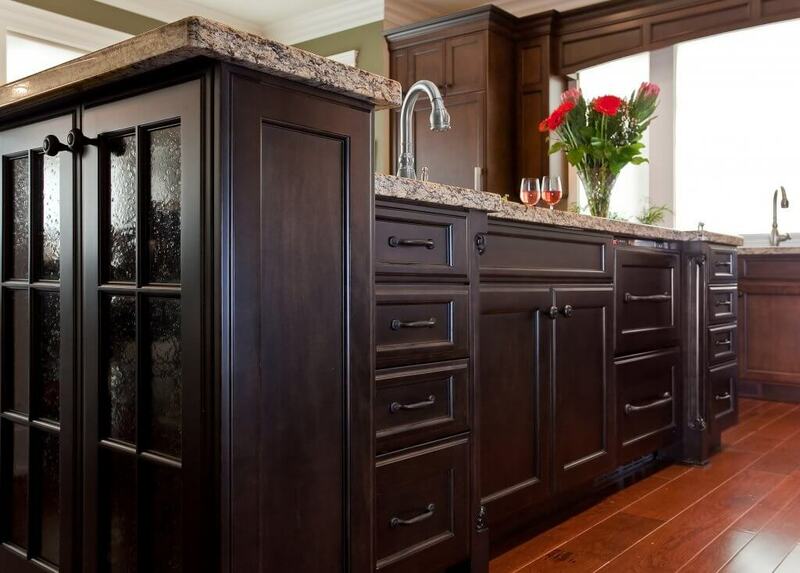 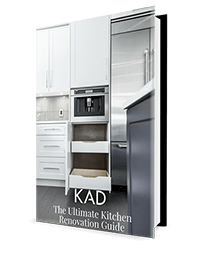 To accommodate this, we created a variety of custom built-ins to store ingredients and spices to be at ease of reach. 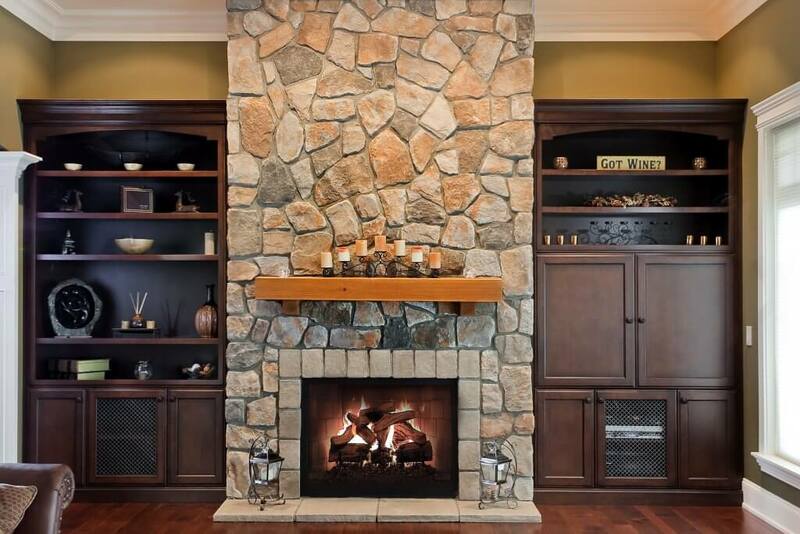 We finished off this project with matching built-ins to create a uniform look into the living room.